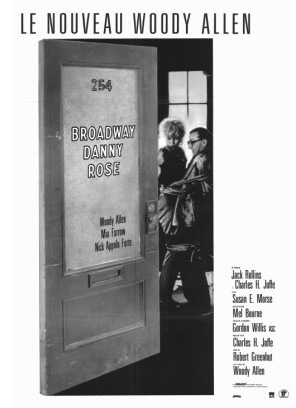 Broadway Danny Rose is something of an anomaly in Woody Allen’s filmography. Released 1984, it came smack dab in the middle of his golden period (1977-1992), right after Zelig and just before The Purple Rose of Cairo, when Woody could do no wrong. His increased confidence as an actor and filmmaker showed itself in his decision to vary his character more than he ever had before, or since. Instead of a conflicted-yet-talented college-educated neurotic, Woody plays a long-suffering, working-class hustler, a guy who just can’t catch a break (and you can see why) working as an agent for end-of-the-line nightclub acts. Mia Farrow also plays against type as Tina, the heavily hairsprayed ex-girlfriend of a mafioso. What other culture would see the heroism in such an apparently inconsequential failure of a human being? Danny Rose is useless in a fight, can barely run up a hill without being sick, is a loser in business, is deserted by all except those even more troubled than him. But he is unquestionably a beacon of hope in a moral wasteland – because of, not despite, his refusal to take other people on. Of course, Danny is no full-fledged Christ figure; Woody can’t help but play up his cowardice for comic (and, later on, tragic) effect. 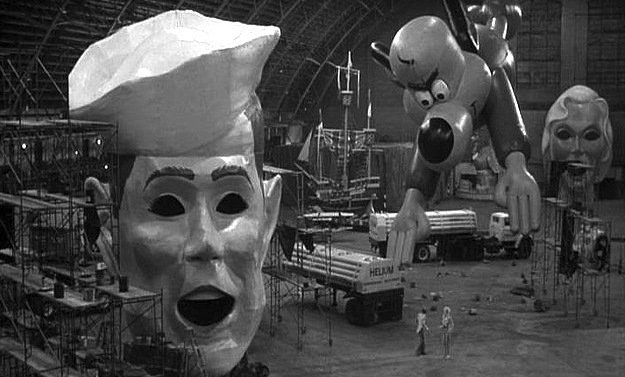 Yet it remains a compelling characterization, especially when you consider the end of the film, which is the even more anomalous and, for our purposes, relevant element here. [Spoiler Alert] The plot follows Danny and Tina as they flee the mob, risking their lives in service of Danny’s most beloved client (and Tina’s boyfriend), crooner Lou Canova. As the couple traverses an escalating series of memorable (and gorgeously shot) set pieces, it becomes clear how boundless Danny’s devotion to Lou is. So when Lou, at Tina’s behest, unceremoniously dumps Danny at the close of their adventure, the shock and hurt on Danny’s face is palpable. We admire Woody Allen’s films for many reasons: the humor, the existential anxiety, the strong female characters, the terrific Tin Pan Alley music, the emotional honesty, the overall tastefulness, the exquisite cinematography. Mercy in the face of deserved judgment, though, is not usually on the list. Neither are forgiveness, absolution or reconciliation. Yet here we are. Woody’s gone on record about how proud he is of the melancholy conclusion to The Purple Rose of Cairo, and how much he wishes he’d stuck to his guns on the original, more downbeat finale to Hannah and Her Sisters. But for my money, the closing minutes of Broadway Danny Rose has them both beat, philosophically and artistically. In fact, while it may not ultimately be his greatest film (it’s up there), it makes a strong case for being the greatest ending. After all, it’s relatively easy to go out on a believably dour note; an authentically hopeful ending on the other hand, one that doesn’t resort to the feel-good triumphalism that tends to pass for redemption in Hollywood (glory!) but instead locates the very real grace that can flow from a defeated person–and does so without any words–well, that’s a lot more difficult. …and it’s Christoper Guest’s favorite movie of all time apparently. We showed this at the church a few years ago and it really connected. I didn’t think it would. One of my faves, full of theology of the cross type material. Thanks for the review. What a great film! It’s one of my all-time favorites. Who could forget the amazing characters and those amazing lines, like “”If I may interject at this particular juncture without being didactic or facetious” and “We have a definite kind of situation here.” I gotta watch it again. I finally got to see the four hour documentary that Robert Weide (one of the guys behind Curb Your Enthusiasm) did on Woody for PBS last year – for which Woody was extensively interviewed. It was excellent! Woody says a number of very interesting things about his process, for example that he values the ‘tragic muse’ over the ‘comic muse’. And his approach to filmmaking itself is remarkably non-dictatorial. One might even say gracious. “Hire the right people and get out of their way.” You can get it on Netflix.